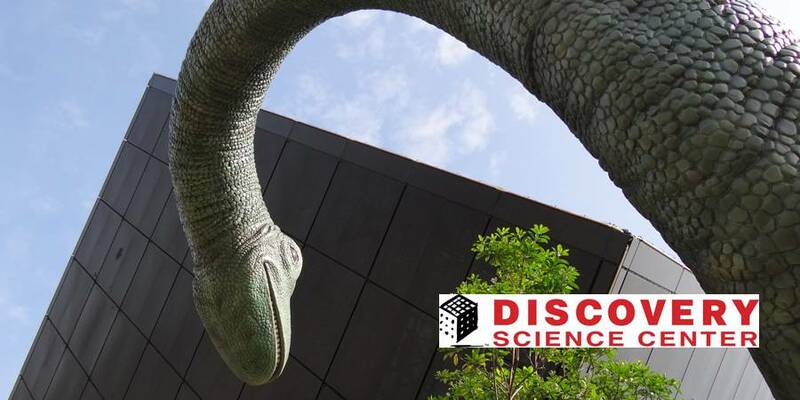 Beginning June 8, 2013 at Taco Bell Discovery Science Center in Santa Ana, CA will host “Da Vinci – The Genius, the most complete and comprehensive traveling exhibition ever created on Leonardo da Vinci.” Please continue reading to find out all the details on The Discovery Cubes latest exhibit. SANTA ANA, Calif. (May 20, 2013) – Da Vinci – The Genius, the most complete and comprehensive traveling exhibition ever created on Leonardo da Vinci, will be on display at Taco Bell Discovery Science Center (DSC) beginning June 8, 2013. The interactive experience will immerse guests in da Vinci’s timeless brilliance through full-scale interpretations of the mastermind’s inventions and unparalleled studies of his iconic art. Plus, little inventors and junior da Vinci’s can dive into this fully interactive exhibit by experimenting with cranks, levers, and pulleys. Da Vinci – The Genius demonstrates the full scope of Leonardo da Vinci’s remarkable genius as an inventor, artist, anatomist, sculptor, engineer, musician and architect. Guests will enjoy more than 200 unique pieces including 75 life-size machine inventions, three-dimensional renderings of da Vinci’s most notable Renaissance works and an eye-opening, in-depth analysis of his most famous piece, “Mona Lisa.” Visitors will be able to push, pull, crank and interact with many of these exhibits for a hands-on understanding of the scientific principles behind them. Created with the assistance of Leonardo da Vinci experts in Italy and France, Da Vinci – The Genius celebrates one of the most revered and dynamic minds of all time. The exhibition features 13 compelling themed areas of da Vinci’s work, offering visitors an unmatched look inside the mind of the man who laid the groundwork for some of modern society’s most impactful inventions, such as the helicopter, airplane, automobile, submarine, parachute and bicycle. All of the inventions brought to life for Da Vinci – The Genius were crafted by Italian Artisans, many using the same techniques and materials from the Renaissance period. Scouring more than 6,000 pages from da Vinci’s personal codices (notebooks), the Artisans deciphered hidden clues, intentional mistakes and mirror-image writing that da Vinci employed to keep his works top secret. The most illustrious component of Da Vinci – The Genius is arguably the Secrets of Mona Lisa exhibit, featuring the findings of French scientific engineer and examiner of fine art, Pascal Cotte. Granted unprecedented access to “Mona Lisa” by the French government and the Louvre Museum, Cotte was permitted to take “Mona Lisa” off the wall and out of its frame to conduct a scientific analysis that revealed dozens of secrets about history’s most elusive art piece, all verified and approved by the Louvre Museum curators over a two-year period. The exhibit showcases Cotte’s studies and 25 of his most compelling revelations, illustrated by 40 super-magnified, high-resolution sectional images exploring every aspect of the work. Visitors of Da Vinci – The Genius are invited to embrace the history, theory and objective behind each of da Vinci’s designs and artworks through engaging and entertaining technologies. Other highlights include reproductions of “Virgin of the Rocks,” “The Annunciation,” the controversial new Leonardo discovery “Bella Principessa,” amazing anatomical sketches, the preparatory drawings of the “Anghiari Battle,” and three-dimensional interactive presentations of “The Last Supper,” the “Vitruvian Man,” and the “Sforza Horse” sculpture that offer never-before-seen perspectives on these famous works. Guests also will enjoy a glimpse into da Vinci’s mysterious alphabet and writing techniques as they browse touch-screen versions of his actual codices. The exhibition was developed by Grande Exhibitions, Australia, the Anthropos Association, Italy, under the kind auspices of the Commune di Roma, Commune di Firenze and Citta Di Venezia and with the assistance of Pascal Cotte of Lumière Technologies, France. Doors open to the public Saturday, June 8. 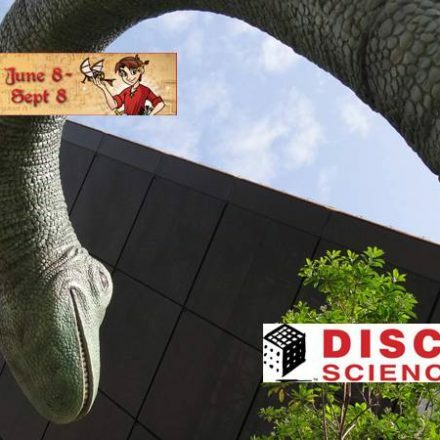 Da Vinci – The Genius is included in general admission to Discovery Science Center. Tickets can be bought at the science center or online at www.discoverycube.org. Prices are as follows: adult ($15.95), senior ($12.95), and children 3-14 ($12.95). 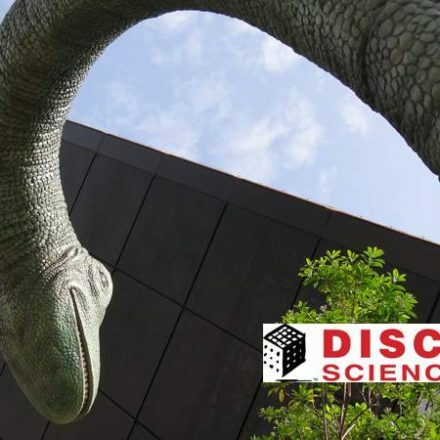 Discovery Science Center is open daily from 10 a.m. to 5 p.m. Creators and promoters of the Exhibition who have researched, sourced and interpreted much of what is contained in the exhibition. Based in Rome Italy and Melbourne Australia, Grande Exhibitions is dedicated to delivering quality blockbuster exhibitions of mass appeal that entertain and educate. From Il Genio de Leonardo Da Vinci Museo in Rome, talented and gifted Artisans have made the machines inventions and many items that you see on display at the exhibitions. They have spent more than 10 years bringing to life over 120 of Leonardo’s concepts and designs and use in the main techniques and materials available in 15th Century Italy.